Irvine Handyman Does Art and Light Installation, All In 1 Handyman was contacted by a new Irvine resident who had lots of artwork to be installed. 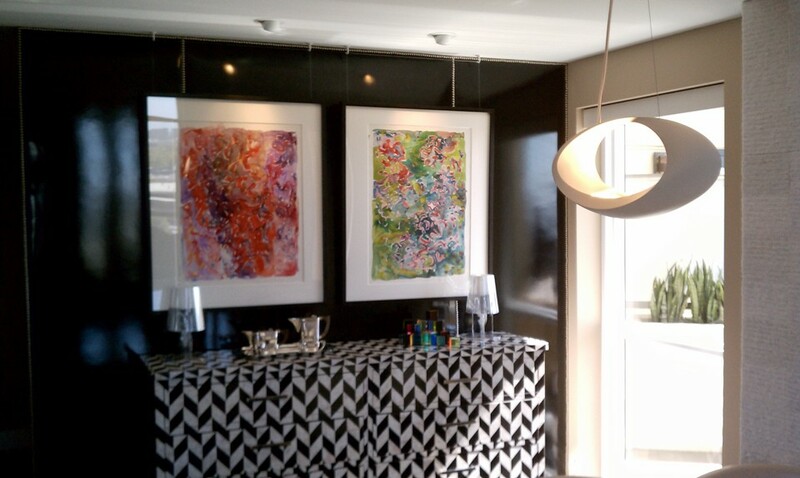 This new penthouse suite came with art work already, one of the art pieces was installed over the flat screen TV. With a remote the artwork would rises (for TV view) or lower (to hide the flat screen TV). Irvine Handyman was asked to remove this artwork and custom install a larger piece of artwork. There was also a large piece of artwork that had to be installed about 15 feet up on a stair well. All In 1 Handyman brought in scaffolding in to hang this difficult art installation. One of the last challenging installation was to hang two pieces of artwork over a wall that had black leather installed on it. So Irvine Handyman installed this two pieces artwork with four hooks mounted on the ceiling, and then with two lines of monofilament per painting were installed. Thanks to All In 1 Handyman this Irvine Art Installation was a success.